A new prequel comic book is announced for the upcoming Godzilla: King of the Monsters as Legendary Comics will be releasing Godzilla: Aftershock. Godzilla: Aftershock will be released in the Spring from writer Arvid Nelson with art by Drew Edward Johnson. Continuing the story of 2014’s Godzilla after the catastrophic events in San Francisco, the King of the Monsters finds himself once again threatened as a terrifying new foe rises from the depths of the earth, unleashing a series of devastating earthquakes and driven by an unstoppable primal instinct that will test the King of Monsters like never before. “Godzilla: Aftershock is yet another exhilarating entry into the canon of the MonsterVerse, and it is especially exciting to introduce fans to a brand new original monster unique to the comic, but true to the legacy of Godzilla,” said Robert Napton, Senior Vice President of Legendary Comics in a statement. 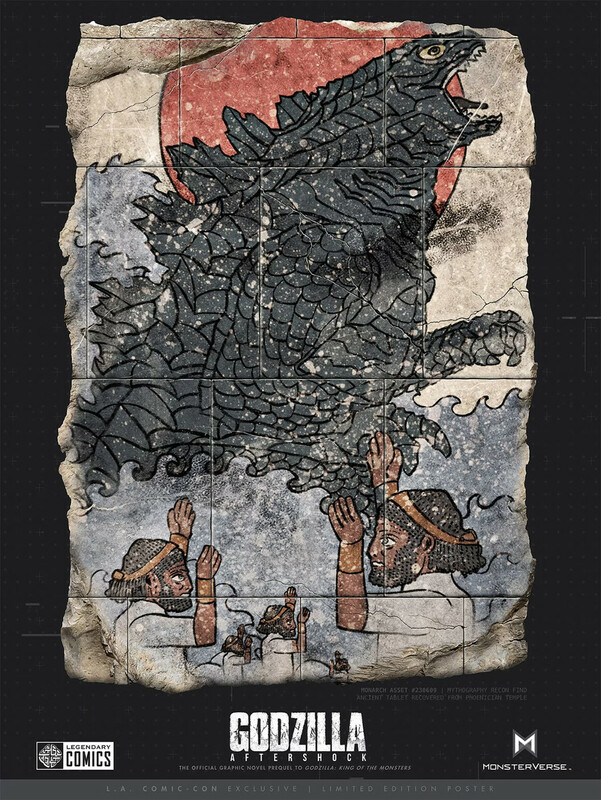 Fans attending the Los Angeles Comic-Con can get a sneak peek at Godzilla: Aftershock at the Legendary Comics panel “Godzilla: Secrets of the MonsterVerse” in Room 403B on Saturday, Oct. 27 at 3 p.m. The first 500 fans in attendance will receive an exclusive signed/numbered Godzilla poster only available at the panel. Godzilla: King of the Monsters has a May 31, 2019 release directed by Michael Dougherty and stars Vera Farmiga, Ken Watanabe, Sally Hawkins, Kyle Chandler, Millie Bobby Brown, Bradley Whitford, Thomas Middleditch, Charles Dance, O’Shea Jackson Jr., Aisha Hinds and Zhang Ziyi.